For over 20 years, the Buffalo car accident attorneys at Brown Chiari LLP have been representing truck accident victims seeking just compensation for injuries sustained. We have been successful in obtaining the just compensation that our clients deserve; compensation for pain and suffering, past and future medical expenses, lost wages (both past and future), loss of earning capacity, and loss of enjoyment of life. One of the ways that we fight for the victims of Buffalo truck accidents is by conducting an early, extensive accident investigation and, if necessary, a thorough accident reconstruction using a team of professional specialists. 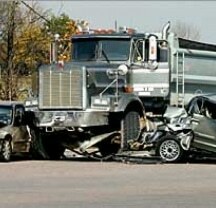 There are many Buffalo truck accident lawyers who routinely handle car accident cases. However, knowledge and experience are essential in handling accidents involving large commercial vehicles. Acquiring a Buffalo truck accident law firm with the resources available to investigate your case is key to succeeding with your legal claim. New York Trucking companies have their own lawyers and representatives that they immediately send to the scene of a serious New York truck accident. These representatives work for the trucking company to confront the victims of the accident and do everything they can to limit or mitigate their own liability. You need an experienced truck accident law firm to encounter these trucking company representatives and to ensure that your rights are properly protected. At Brown Chiari LLP, our Buffalo car accident lawyers have extensive experience in truck accident litigation throughout New York State and are thoroughly knowledgeable and experienced with the many complex federal and state rules and regulations governing commercial truck operation on our nation’s roadways. Contact one of our Buffalo car accident attorneys in Buffalo today to determine how our law firm can provide the resources necessary to aggressively fight the trucking company’s legal defense.